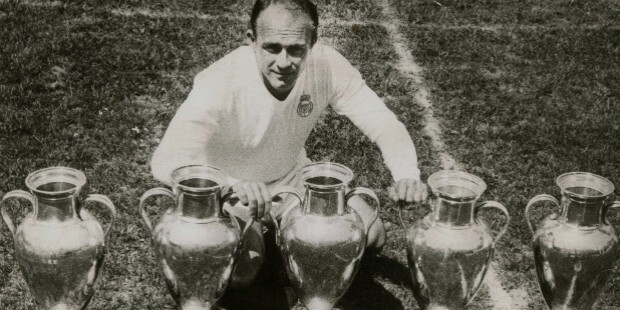 The sixth highest scorer in Spain’s top division, third highest scorer for Real Madrid, and considered “the most complete footballer in the history of the game” is no other than Alfredo Stefano Di Stefano Laulhe. 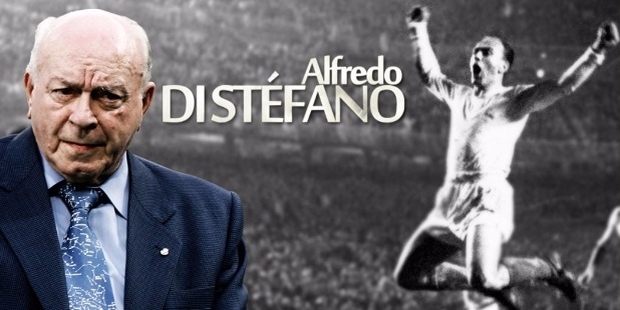 An agile and versatile player, Di Stefano has made a total career goal of 399 including his goals for the international division. This makes him one of the most successful soccer players of all time. 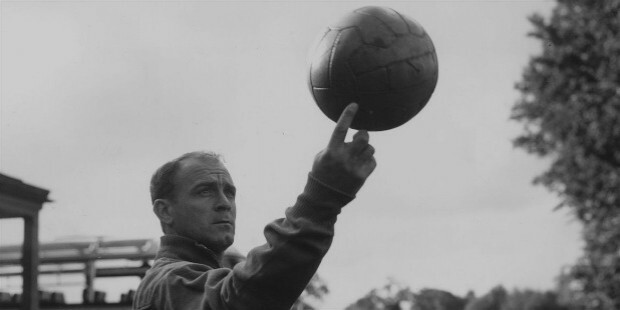 Di Stefano or fondly called “Saeta Rubia” (“Blond Arrow”) is well commended by other legendary players like Pele who had described him as “the best Argentinian player ever.” In fact, a statue was built for him by UEFA and Real Madrid for his prolific performance in the pitch. It was first shown to the public in 2008 during the awarding of the Special Presidency Award by both organizations. 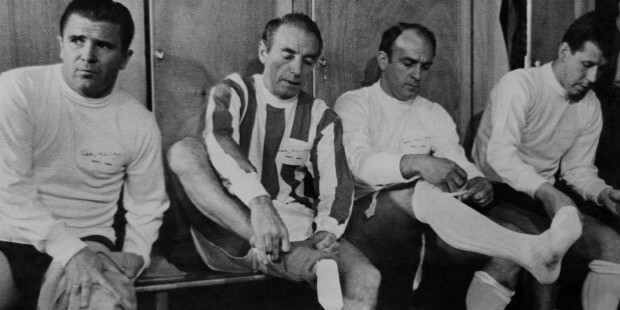 Alfredo Di Stefano was born to Alfredo Di Stefano and Eulalia Laulhe Gilmont on July 4, 1926, in the little town of Barracas, Buenos Aires. A son of a first-generation Italian Argentine, he grew up in a family of immigrants settling from Nicolosi, Italy. Although his mother is also of French and Irish heritage. 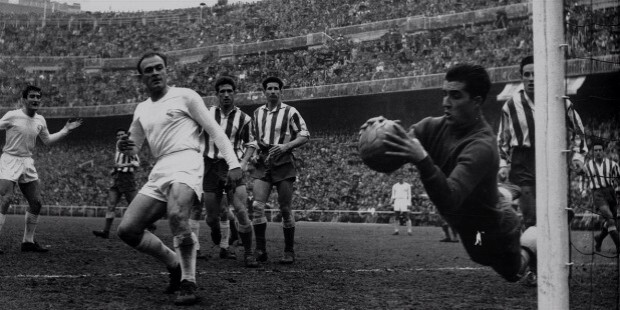 Young Di Stefano has spent his childhood on the streets of his hometown kicking rubber balls. His passion for soccer stems from his early years. Little did he know that his previous stints with local teams will bring him to greater heights in the future. 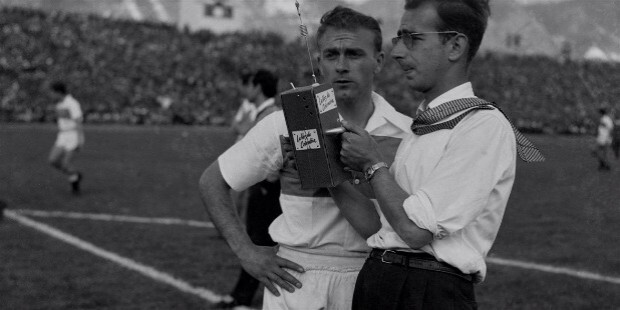 At the early age of seventeen, Di Stefano began his career with his first team, Club Atletico River Plate. Three years into the team, he picked out and loaned to Club Atletico Hurucan. He returned to River Plate the following season. In 1949, a football strike occurred in Argentina which pushed him to play for Bogota’s Millonarios F.C. During the first twelve years of his career, he was able to bag six league titles for both clubs that he played for. He reached the peak of his career while playing for Real Madrid. His performance along with his partnership with Ferenc Puskas has brought several victories to the team. For decades, his record of 49 goals in 58 matches was unbreakable. These days, however, it has already been surpassed by other well-playing footballers like Cristiano Ronaldo. The international pitch has also been a witness to the wonders of Di Stefano. He has three international teams with only two recognized by FIFA; Argentine and Spanish. He has had six appearances with Argentina, thirty-one with Spain, and four with Columbia. While playing for the Argentine Team, he did not get his chance to kick off his world cup experience as the team refused to join the tournament. He also was declared eligible to play for the world cup that followed in 1954 since he was capped by both Argentina and Colombia. That event leads him to earn a Spanish citizenship two years later. 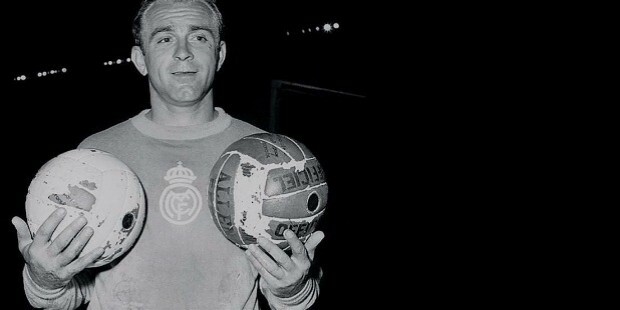 He joined the Spanish team and played his first game in 1957. With his determination, he was able to bring the team past the qualifying rounds of the 1962 world cup despite the previous failure of making the cut in 1958. Unfortunately, he was still unable to play in the actual tournament due to his muscular injury. He finally retired from international football in 1962 without playing even at least once in the world cup tournament. Following his retirement from playing football overall in 1964, he shifted his attention to coaching and managing teams starting with Elche in 1967. He also worked again with River Plate as well as Boca Juniors and became an integral part of them winning their league titles. Other that he managed to include Valencia, Sporting CP, and his old team — Real Madrid. Considered to be his best game is the 1960 European Cup finals against Eintracht Frankfurt. To this day, it is still regarded as one of the finest football game Europe has ever seen. He scored three out of seven goals in favor of Madrid in the 27th, 30th, and 73rd minute of the game. Meanwhile, he displayed his prolific abilities on the field in the international arena with a hat trick in his first game for the Spanish National Team. They won the friendly match with a final score of 5-1. 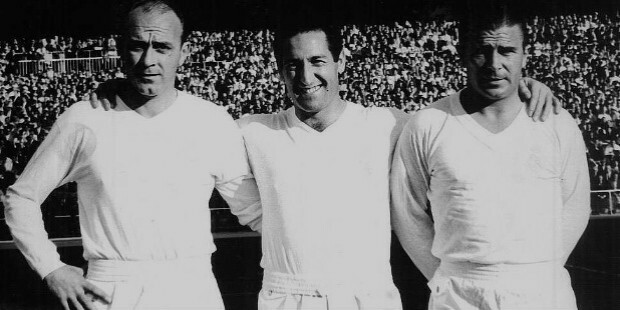 Throughout his career, Di Stefano was able to get achievements for his skills. One of which is the Ballon d’Or for European Footballer of the Year in 1957 and again in 1959. Above everyone, he is also the only recipient of the Super Ballon d’Or award for his “outstanding career achievements.” He has played a total of 521 games in his senior career scoring 376 goals all in all. On January 5, 1950, he married Sara Freites to whom he had Alfredo, Ignacio, Sofia, Silvana, Helena, and Nanette. He was left with a broken heart after her death on May 14, 2005. He has survived the passing of Nanette on December 12, 2012. Before all those trials, he has encountered a previous tribulation when he was kidnapped on August 24, 1963, by the Armed Forces of National Liberation in Caracas. He was set free two days later. This incident on his life was put to a film entitled Real, La Pelicula. 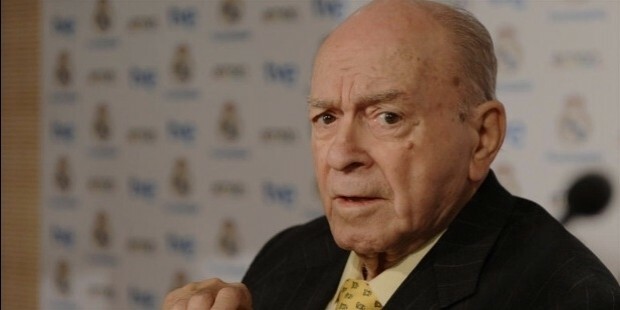 Nine years forward, Di Stefano suffered a heart attack and was put in the intensive care unit of Gregorio Maranon Hospital. He died two days later on July 7, 2014. He left five children behind as well as his girlfriend, Gina Gonzalez. The Blond Arrow will always be remembered as one of the greatest players in history. He left behind outstanding records such as most goals in the European Finals. He is also a recipient of the Pichichi Trophy from 1954 to 1959 and the FIFA Order of Merit in 1994. Other awards given to him were FIFA 100 in 2004, Golden Foot as a Football legend in the same year, World Soccer Greatest XI of all time in 2013, among all of his honors. 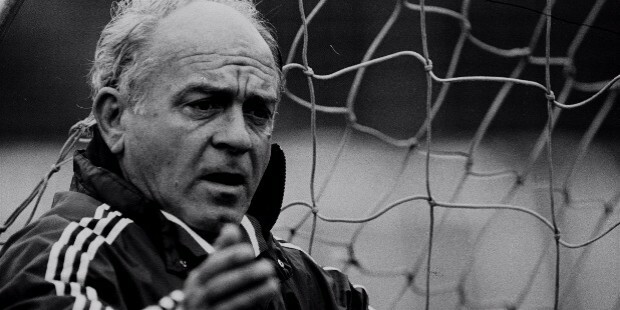 His legacy lives on in football with the continuous recognition of all his contribution to the sport.